Being fifty-something doesn’t mean I get it right every time. Quite the opposite. And because I’m wiser (with age, of course) I’m more aware when I get it wrong. Always after the fact. Obviously, I should have asked for help (or joined a support group) on this one earlier. 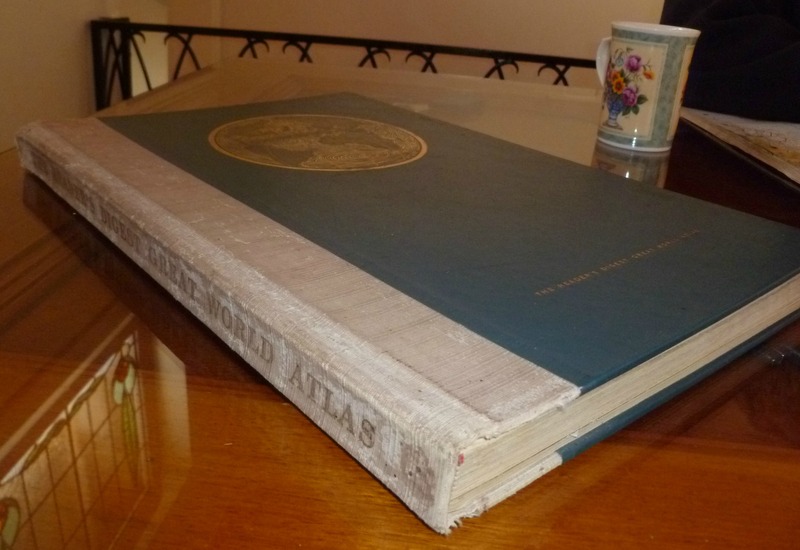 A couple of weeks back, I unearthed this huge vintage atlas at the local book fair. By huge, I mean the pages are almost A3 size and have those gorgeous muted colours typical of atlases printed in the 1960s. Love at first sight. For just $2 I snavelled it up, dreaming of flawlessly executing all sorts of crafts, many inspired by this post I shared a while back. Inside I found a secret. 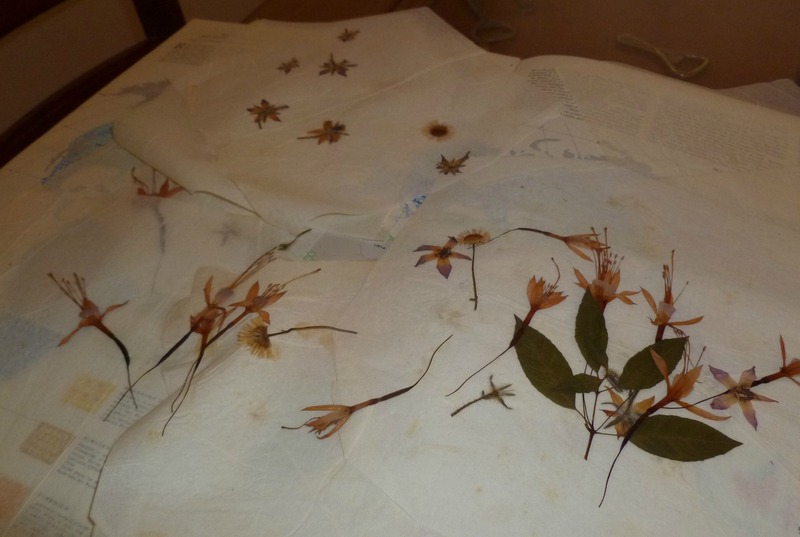 Between pages 52 and 53 was a clutch of flowers and foliage carefully placed between tissue paper. They’d been there for some time, pressed flat and dry and fragile and precious. I wondered what made them special. Perhaps they were a travel keepsake or a memento of a special day or a special place. I wondered who had placed them in this big, bound beauty and why they hadn’t retrieved them. I couldn’t stop thinking about them. Yes. I had been ambushed by a stranger’s memories. (I am a serial ambushee, it seems). Any clear thinking person would have returned the flowers to the secret spot between Pages 52 and 53. Where they belonged. Not me. I felt an urge to preserve the stranger’s memories. 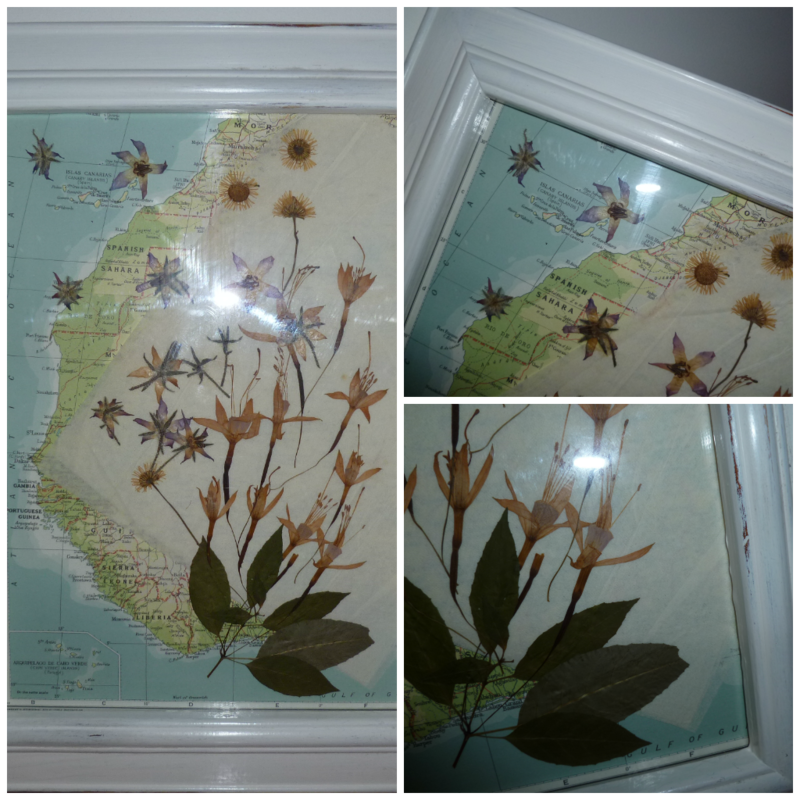 I schlapped on a couple of coats of white paint and some white wax then arranged within the frame the stranger’s flowers, over a piece of the original tissue over a guillotined page of the atlas. Feeling chuffed, I stood back to admire my work. Now wasn’t that a Whiskey Tango Foxtrot(!) moment? 1. I had shown more care and respect to a stranger’s memories than I ever do to my own (mine are unashamedly unsorted, unloved and left to their own devices to ambush me unawares). 2. I was teetering on the edge of the abyss of something terrifying … scrapbooking. As for Number 2, please grab me and pull me back from the abyss (fast and firm). Recognising that I’ve betrayed my own memories in favour of those of a stranger is frightening in itself, but not nearly as daunting (or irreversible) as becoming a scrapbooker. Beautiful!!!! As for the scrapbooking? 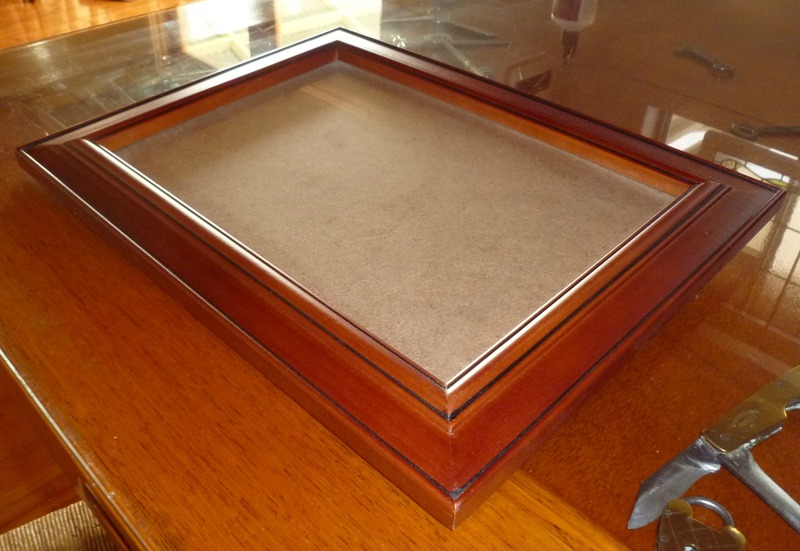 Fight the urge….plus, as long as you’re using picture frames, it’s not really scrap “booking,” is it? Thanks, Lori. You’ve pulled me back a step (albeit on a technicality). Perhaps there is hope for me yet. 🙂 S.
I love this post in so many ways–especially this: I had shown more care and respect to a stranger’s memories than I ever do to my own (mine are unashamedly unsorted, unloved and left to their own devices to ambush me unawares).